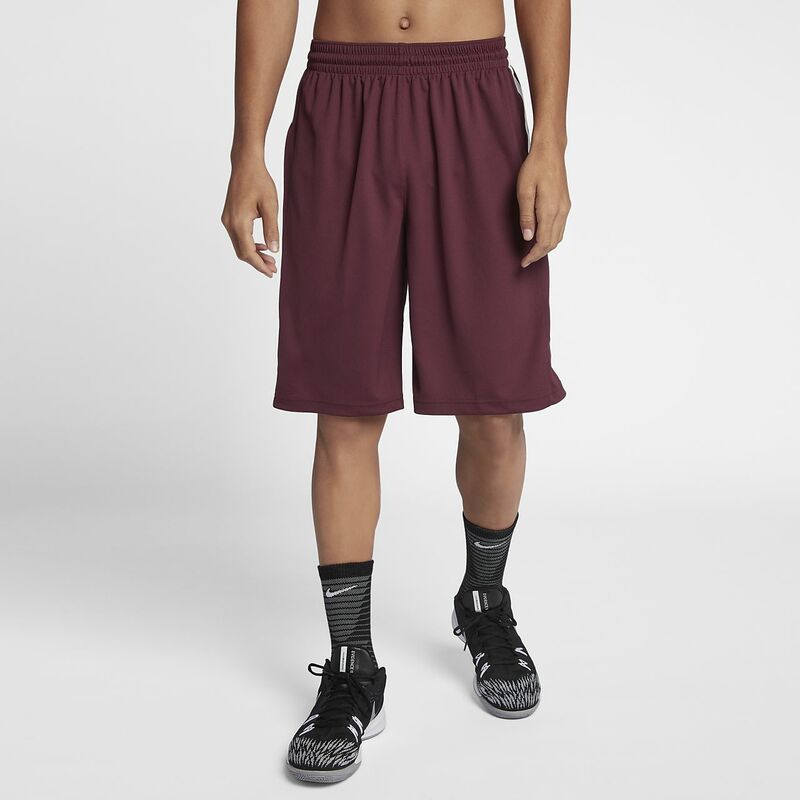 The Nike Practice Elite Men's 11" Basketball Shorts are made with sweat-wicking mesh fabric to help keep you dry and comfortable on the court. The Nike Practice Elite Men&apos;s 11" Basketball Shorts are made with sweat-wicking mesh fabric to help keep you dry and comfortable on the court. Great pair of shorts if you don’t need pockets. But I don’t understand why anyone would not want pockets. Frustrating. As many others wondering why no pockets. Limits when you can wear them. Moving up to men's from kids. There are two problems with these shorts. There are no pockets. Why??? The other thing I noticed is that, at least on the kids shorts , the detailing is almost part of the shorts rather than ironed on rubber. How can it be that children's shorts are better quality? Makes no sense.